Home » Russian treatment » Russian Hair Tips! How to grow your hair faster! Russian has been known ages for their perfect beauty. It was not given freely from God, but they really have to maintain theirs beauty. Besides keeping the healthy life pattern, then stabilize with consuming healthy food, they also should balance with doing enough sports. These recipes of good life were inherited from generation to generation. One of the standard beauties for Russian women deals with the beauty hair. One who has long perfect hair is often categorized as the real beautiful woman, compared with those who have fairly short hair. As the quotes state that your “hair is your crowns”, then come another saying “invest in your hair, it is the crown you never take off”. This means that every woman should take good care of their hair as it is their invisible crown. The right treatment is a must do thing for it. Thus, I would share the important thing, Russian hair tips especially related with the long beauty hair. 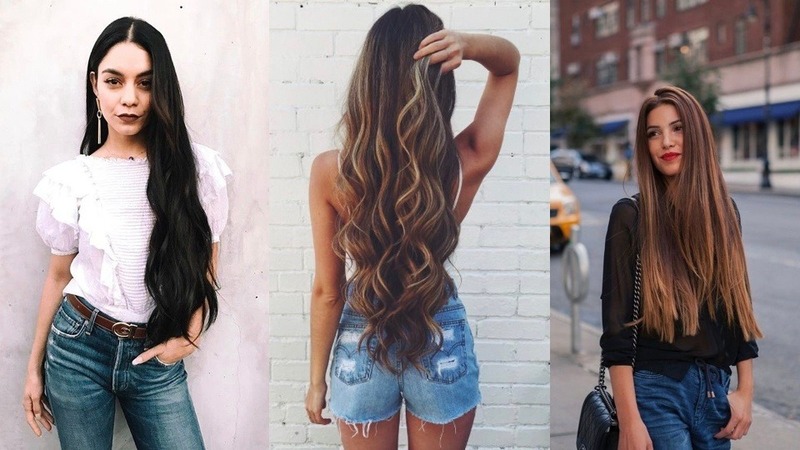 Here are 4 tips on how to grow your hair faster! What is the definition of good hair in Russia? The right answer of good hair, it is about a balanced scalp and the use of hydrating masks. In addition, Russian women will make a tonic based on the babushkas recipes a long time ago. It functions to balance the scalp’s Ph and to stimulate hair growth. The material needed can easily be found everywhere, it is cayenne pepper and vodka hair serum. The making process is also easy, first mix the pepper and vodka with the 1:2 ratio – one part pepper and two parts vodka- , cut up the cayenne peppers into small strips, add 2 cups of vodka (80% vodka with glutten free), put the mixture in a bottle or jar. After that, place the homemade tonic in a dark place, leave it for about two or three days and then strain out the peppers, and its all, the tonic is ready to use. About the usage manuals, first make sure your hair is in wet condition, it can be done after you wash your hair or just simply wet your hair, then add the homemade tonic all over the scalp, use a dropper if needed or you can use your bare hand, after that massage your head for several minutes to spread evenly. Then wait for 30 minutes as the tonic start to seep into the scalp and stimulates blood flow for new hair growth. End the usage by washing your hair cleanly. For better result, you can add the hydrating mask for the total treatment. Repeat the use of tonic and massage treatment once a week. You will get long hair every woman dream of with this hair tips by Russian elderly. Taking care of your hair would not be so difficult, remember to always wash your hair- better do it twice a week, not too often. In addition, use only natural products you can make on your own, or here I will share another Russian grandma’s recipes, best hair tips based on nature. Easy to make, this hair mask use simple composition. The ingredients needed are mustard, olive oil and mayonnaise. First take two table spoons each of them, then mix in a small jar, apply these directly to your hair roots evenly, then cover your hair with cellophane along with a towel. Wait the process for about an hour then you can wash your hair until clean. Use warm water if necessary. This home-made mask functions to stimulate the broken hair follicles to regenerate and growth faster. The useful Russian hair tips you must try. To get a long healthy hair, you should give the right treatment since your scalp is different from your skin. You could have gone to the beauty salon and get your hair treatment done, but it is also important that you can do it on your own home to get better experience deals with your crown. The treatment hair series start from use the right shampoo –it can be chemical products but the composition is right- that contains sulfates, then the next is apply a keratin mask after a wash, remember not to wash every single day, give your hair rest, once in three days is still fine. The thing you must remember, -besides use the right shampoo- , the way you apply shampoo is also important. The right way is focus on your scalp, since all the dirt and oils tend to accumulate at that part. So, apply right there, focus on the roots and massage firmly. Besides that, take vitamin D and omega-3 supplements. This is so good for your hair growth and it doesn’t have dangerous side effect. Thus you can consume it every day regularly. Get regular trims also belong to right treatment. Why? It is because it can get rid of the damage hair and throws away the split ends. It also can stimulate the hair growth since the root is changing from damage to healthy new hair. So automatically it can makes healthy hair and growth fast at the same time. Another good treatment for your hair growth is coconut or jojoba oil. It functions as the cure for particularly dried hair along with the scalp. The usage is simple, prepare the coconut oil, add little warm water into jojoba oil, then apply in your hair, start from the scalp, hair roots, middle parts and ends of hair. Leave it for about 30 minutes, and then rinse with a lukewarm water. End the warm treatment with the use of conditioner. That will give nutrition to your hair so that the scalp is moisturized and the hair can growth fast and of course healthy.